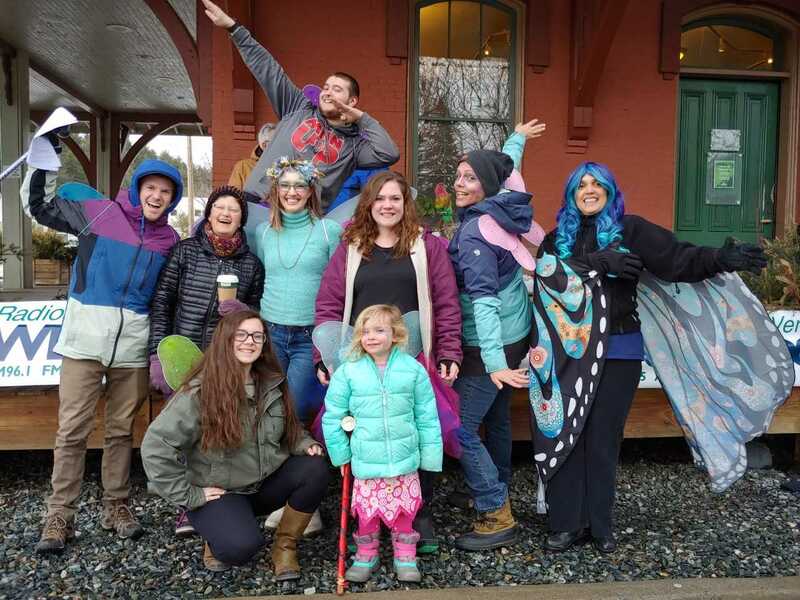 Courtesy PhotoCCV-Morrisville staff and friends competed in the 35th annual Intergalactic Winter Croquet Tournament hosted by WDEV Radio in Waterbury last weekend. Spring has finally sprung, and our CCV community is buzzing with activity! Happy reading, and don’t forget to share your own news and announcements with us by emailing marketing@ccv.edu. Montpelier student Keith Standish was awarded the $1,000 Dr. Richard J. Barrett Scholarship from Gifford Medical Center. Standish graduated from Gifford’s medical assistant program in 2016. He is working toward CCV’s allied health preparation certificate and plans to pursue nursing at Vermont Tech. Marketing Operations Manager Danielle Bresette was elected to a three-year term of service on the Washington Recreation Department. She was elected on Town Meeting Day. Newport student Mike Lussier was featured on the series “My Heart Still Beats” from Vermont Public Radio and Writers for Recovery. Lussier currently serves as the interim director of the Journey to Recovery Community Center in Newport. Veteran resource advisor Marty McMahon and veteran services coordinator Kyle Aines attended the NASPA Symposium on Military-Connected Students in Las Vegas, Nevada. Read more about an old friend they ran into at the conference, CCV alumnus and fellow veteran Judd Eichorst. Faculty member Erika Schmidt has been named executive/artistic director of Stone Valley Arts, a community arts organization in Poultney. Schmidt teaches Intro to World Music, Printmaking, Ceramics and Drawing at CCV-Rutland. Faculty member Jay Dubberly announced the release of Issue.6 of Zig Zag Lit Mag, an arts and literature magazine based out of Addison County. The issue is for sale in local bookstores and online at zigzaglitmag.org. Dubberly teaches in Middlebury & Rutland. Faculty member Michelle Demers published her first full-length book of poems. Green Mountain Zen was published in February by Blue Light Press. Demers teaches writing courses in Winooski. Thirteen students were awarded $1,000 Leadership Scholarships at a luncheon in Montpelier last week. Leadership Scholarships, awarded annually, recognize one student from each center who demonstrates exemplary leadership in their classrooms, in their centers, and in their communities. Read more about the 2019 winners here. Faculty member Gene Parulis is the featured artist at Mitchell Giddings Fine Arts in Brattleboro. His photography exhibit, “Visions and Explorations,” is on display March 2 – April 14. Parulis teaches in Brattleboro. CCV-Morrisville student Kim Barbour and CCV-Winooski graduate Virginia Litchfield were awarded New Century Pathway Scholarships from Phi Theta Kappa, the international honor society for community college students. Litchfield will receive a $2,250 scholarship in Orlando on April 15th and Barbour will receive a $1,250 scholarship in San Francisco in October. The fall 2018 study abroad class, Ireland through Words, Images and Music, hosted a photo exhibit from their trip to Ireland with instructor Peter Keating at the 2019 Burlington Irish Heritage Festival on March 11.